Wednesday night March 2nd qualified as a big moment for me and my family, as I won the 2016 Kobzar Award for my memoir, Detachment. Many, many thanks are in order, including to all the people who put this incredible event and award together, especially Dr. Christine Turkewych, and to the jury, represented on Wednesday by Karen Connelly. The press release and some photos below, with more words to follow when I get a chance. 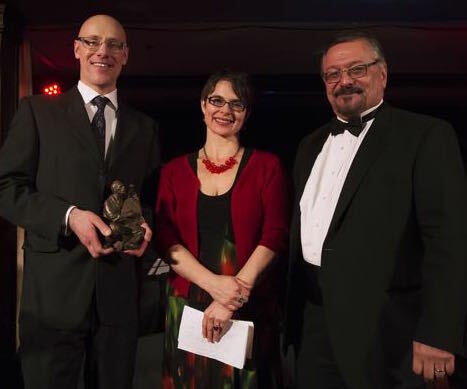 March 2, 2016 (Toronto, Canada) — Winnipeg writer and editor Maurice Mierau was awarded the 2016 Kobzar Literary Award at a gala dinner in Toronto tonight, for his book Detachment: An Adoption Memoir. Mierau received $20,000 and Calgary’s Freehand Books, publisher of the winning title, received $5,000. Presented every two years by the Shevchenko Foundation, the prize recognizes a Canadian writer who most effectively presents a Ukrainian Canadian theme through poetry, drama, fiction, non-fiction or young people’s literature. Shevchenko Foundation President Andrew Hladyshewsky also announced an additional $500 in prize money for the four nominees, who each received $1500, for a total of over $30,000 in prize money awarded this year. Detachment: An Adoption Memoir recounts Mierau and his wife’s adoption of two young brothers from Ukraine in 2005. Dr. Christine Turkewych, Director of Literary Arts for the Shevchenko Foundation, commented, “Mierau’s narrative grips our hearts as we enter the complicated world of adoption in Ukraine and confronts the challenges of parenting children as they adapt to a new family in Canada.” Additionally, the book won the Alexander Kennedy Isbister Award for Non-Fiction and a 2015 Alberta Book Award. Maurice Mierau is also an editor and an award-winning poet. 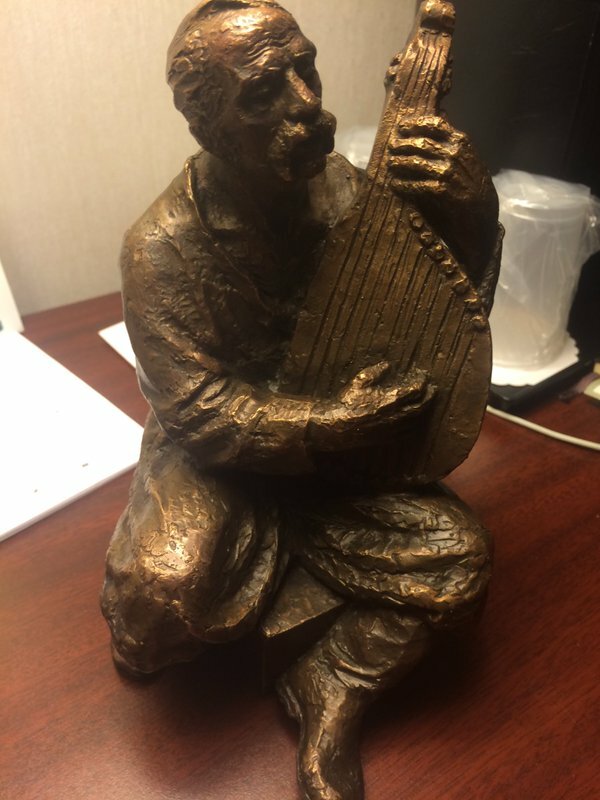 About Kobzar Literary Award: Launched in 2003 by the Ukrainian Canadian Foundation of Taras Shevchenko, the biennial Kobzar Award recognizes outstanding contributions to Canadian literary arts through presentation of a Ukrainian Canadian theme with literary merit. About Shevchenko Foundation: The Ukrainian Canadian Foundation of Taras Shevchenko is a national, chartered philanthropic institution providing leadership by building and nurturing a permanent endowment fund dedicated to the preservation and promotion of the Ukrainian Canadian cultural heritage and the advancement of a flourishing Ukrainian community for the enrichment of Canada.